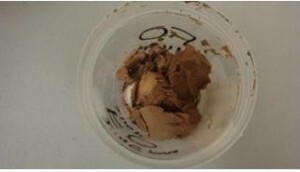 The soil and rocks were crushed through a shredder and mixed together to make a homogeneous sample. 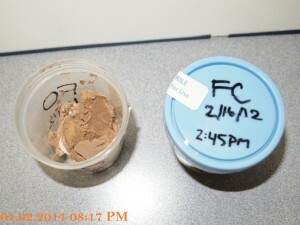 After doing several laboratory tests, different combinations of chemicals in combination were used to treat the homogeneous sample. pH was checked on each sample of Chromium soil before, pH 12-13, and after conversion of the Hexavalent Chromium to Trivalent Chromium solid, and residual liquids and solids easily adjusted to pH 6-7. 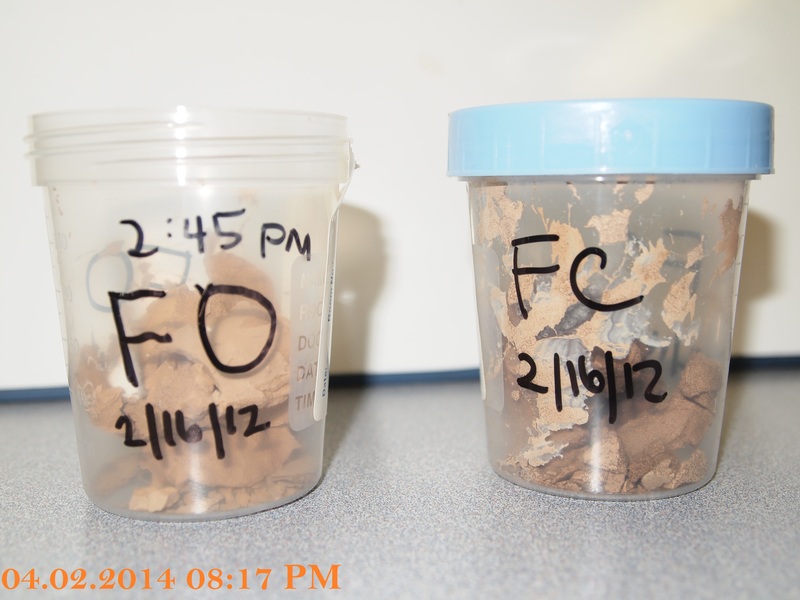 Samples were filtered and the solids sent to the lab for total Chromium content, Trivalent Chromium, and Hexavalent Chromium analyses (7196, 6010B analysis). A swelling study was also done to test if the treated Chromium soil would swell. 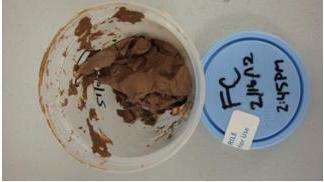 Photos of the homogeneous Chromium sample expansion study are exhibited in Attachment A. 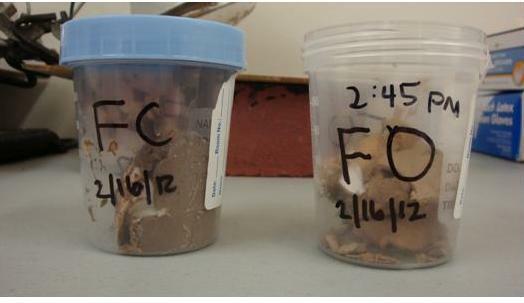 There was no swelling of the converted Hexavalent Chromium to Trivalent Chromium soil over a 6 month period, and again, checked approximately a little over two years later 4/2/2014, showed no buckling or swelling of the converted Hexavalent Chromium to Trivalent Chromium soil, covered or uncovered. All test results analyzed by EMSL Analytical, Inc. proved the conversion of Hexavalent Chromium (none detected in all the results) to Trivalent Chromium. The 7196, 6010B test result of total calculations of the conversion of Hexavalent Chromium to Trivalent Chromium, bench top samples, are consistent with all previous bench top testing exhibited in Table 1. NOTE: 7196, 6010B calculations are in parts per million. The 7196, 6010B test result of total calculations of residual liquid filtered from converted Hexavalent Chromium to Trivalent Chromium treated solids is exhibited in Table 2. The 7196, 6010B test results of total calculations of the converted Hexavalent Chromium to Trivalent Chromium tested in the Pilot Plant exhibited in Table 3. The photos below taken approximate two years later, 4/02/2014 at 8:17PM show no signs of swelling or buckling.